Visiting regulars 'Don't Go Into The Cellar' return to Guide Bridge Theatre bringing a touch of dark, humourous Victorian melodrama the early summer. 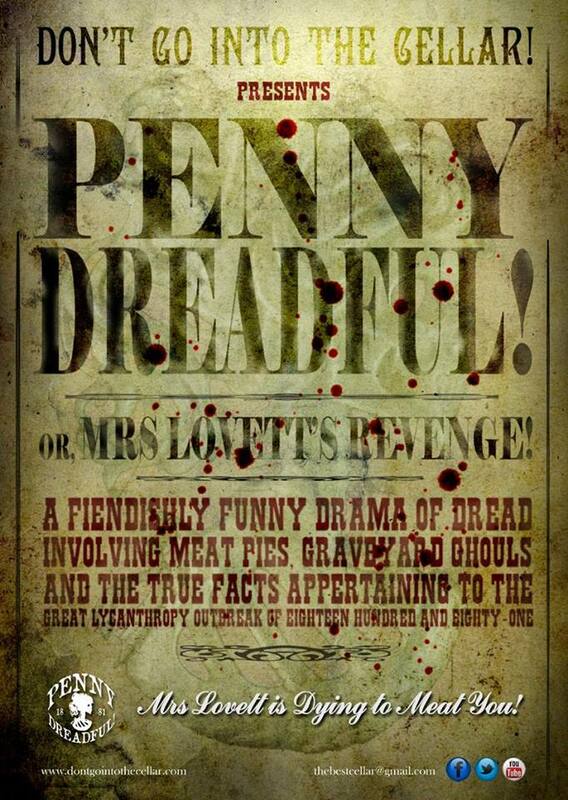 There are chills and chuckles in abundance with this original one-woman show featuring Sweeney Todd's partner in crime, Mrs Lovett! Be appalled by a plethora of other grotesque characters from the cheap and grisly pages of the Victorian era's penny dreadful papers, in a theatrical comedy suitable for children and the young at heart.